Dorthy is back with a fabulous card that can be easily made into a Valentine’s card, a Wedding Card, an Anniversary Card, or to say ‘I Love You’ any time of the year. 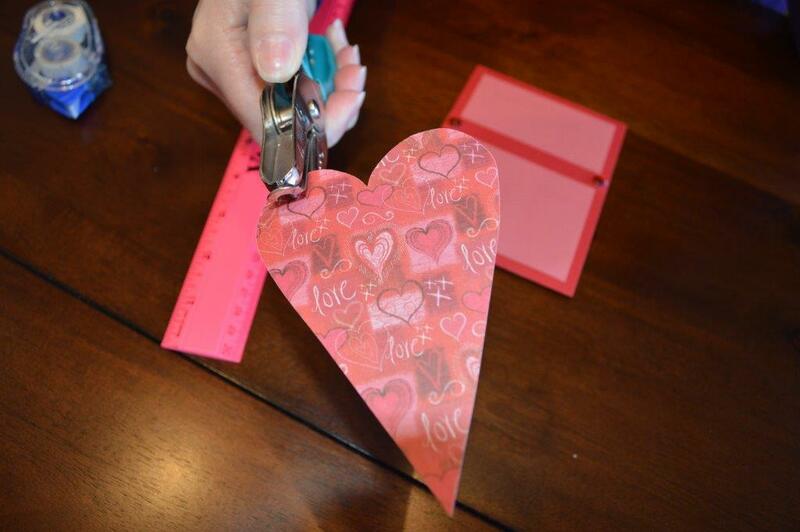 This craft comes together quick, is inexpensive and uses supplies on hand. A personalized way to say that you care. 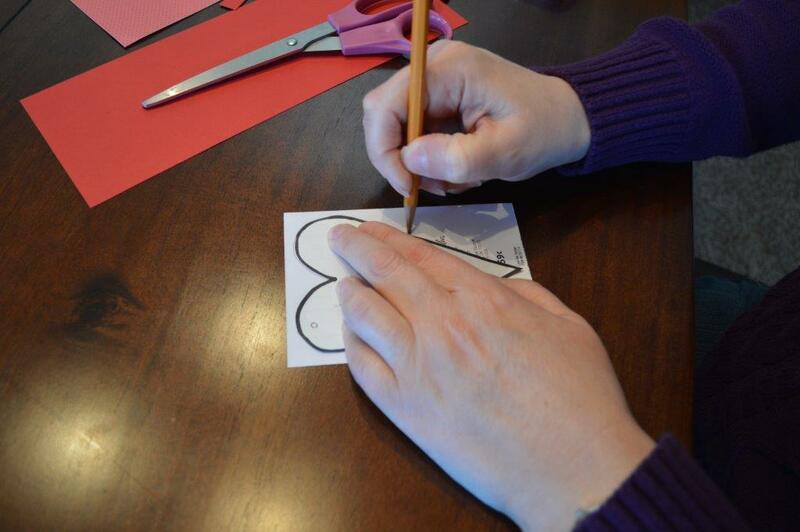 Cut out the paper pieces as instructed. 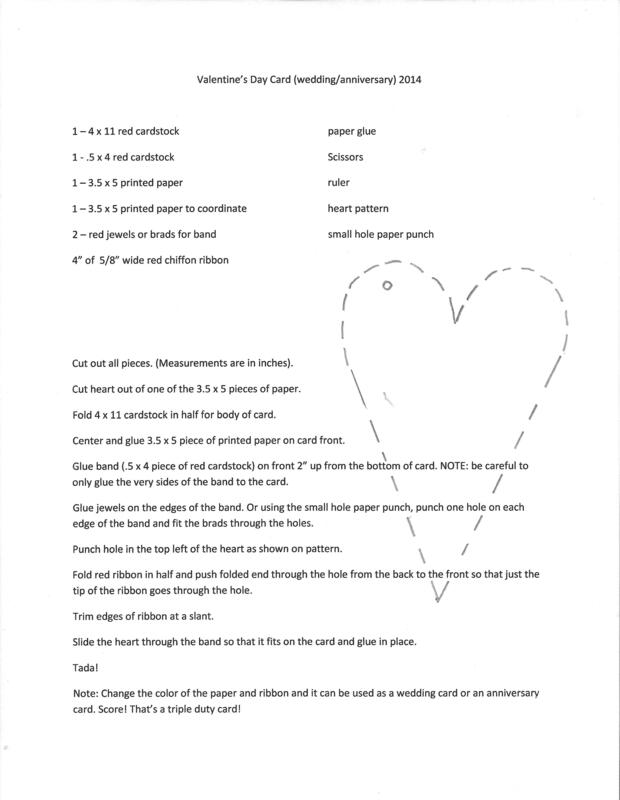 Trace the heart from the pattern below onto your choice of patterned paper. 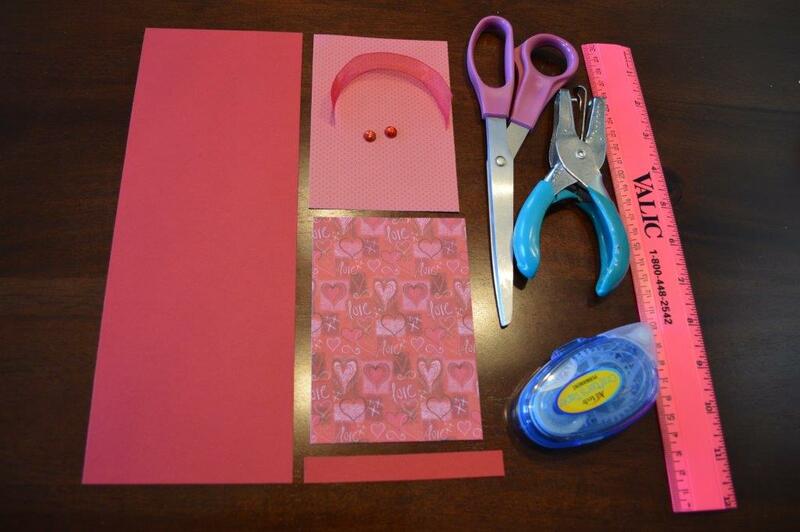 Fold the 4×11″ cardstock in half. 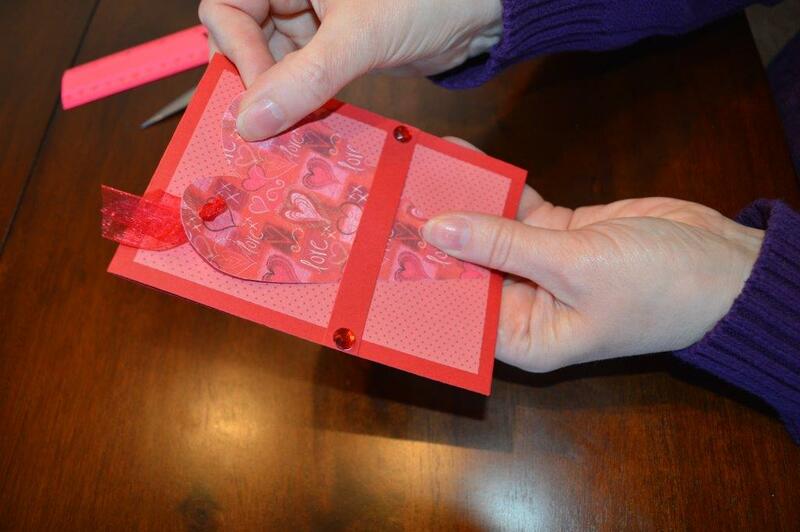 Center and glue the 3.5×5″ printed paper on the front of the card. 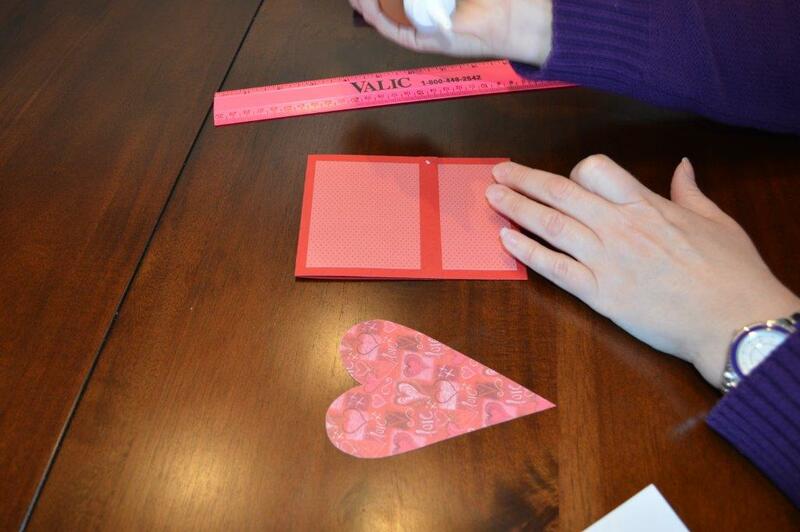 Glue the .5×4″ red cardstock, 2 inches from the bottom. NOTE: Use care to ONLY glue the very sides of the band to the card. Glue the jewels on the edges of the band or brads. 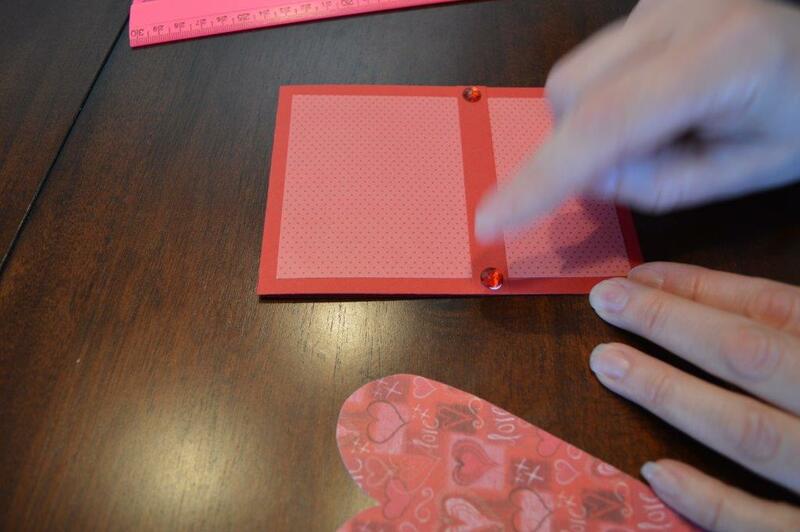 With a small (not the regular size) hole punch make an opening in the top of the pattern. 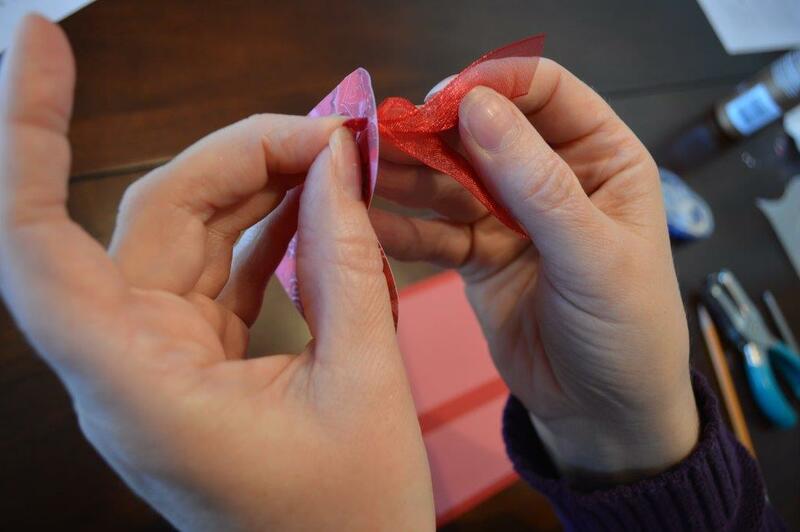 Fold the ribbon in half and push the folded edge from the back to the front. Slide the heart through the band and glue the heart into place. EASY, economical and personalized. 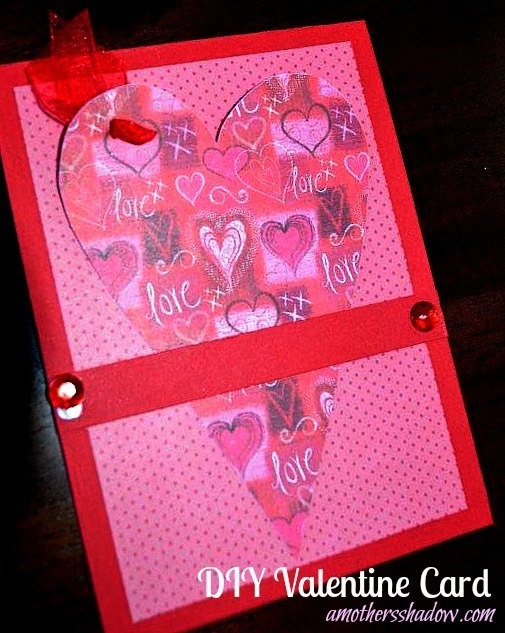 Thank you Dorthy for sharing with us this very versatile card!